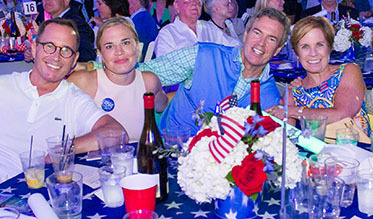 For more than 20 years, the Boston Pops on Nantucket has been the largest and most popular summer event on the island, attracting thousands to Jetties Beach for a night of spectacular entertainment all to raise money for Nantucket Cottage Hospital. 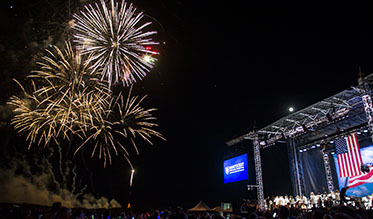 In 2018, 7,000 concert-goers packed Jetties Beach to enjoy the music of Keith Lockhart and the Boston Pops Esplanade Orchestra, together with RAIN, A Tribute to the Beatles! 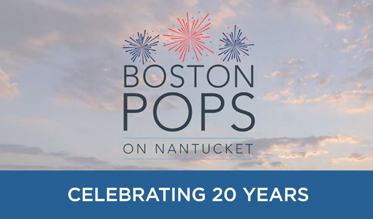 Presented by Nantucket Island Resorts and sponsored by Fidelity Investments, this year’s Pops is sure to be another sell-out event! Pack your blanket, chairs and a picnic. 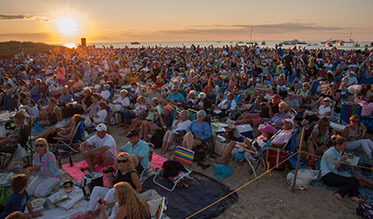 General admission seating attracts a mix of families, music lovers, residents and visitors who set up blankets and chairs on the beach to enjoy a casual and relaxing concert experience. General admission tickets are $30 for adults and $10 for children. Children under the age of 5 may attend the concert for free. 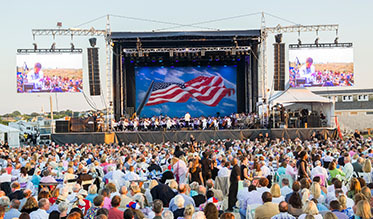 Learn more about the reserved seating options at the Boston Pops on Nantucket, including more information about the perks of purchasing a full table. Reserved seating starts at $700 per seat. Advertising in the Program Book not only supports the hospital, but your message will reach an audience of over 8,000 residents and visitors during the height of the summer season. If you’re looking for a really fun and meaningful volunteer opportunity, you’ve come to the right place. 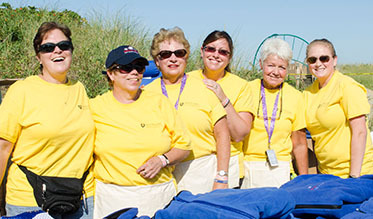 We need 250 volunteers at each summer’s Boston Pops on Nantucket! If you’re interested in getting involved (plus a free ticket and concert t-shirt) register online. In 1997, one of Nantucket Cottage Hospital’s most ardent supporters, Kathryn Clauss, had an idea. 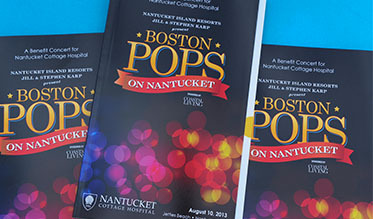 She wanted to bring the Boston Pops Esplanade Orchestra to Nantucket to host a benefit concert for the hospital. No one believed she could pull it off, but with a lot of hard work and help from friends, she did. 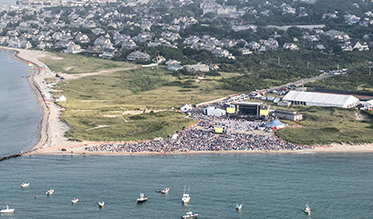 For over 20 years, thousands of Nantucketers have helped to make the Boston Pops on Nantucket a success. This video highlights a few stories from some of the people involved from the beginning. Stay Connected. We want to keep you informed and know what you think.